Despite recent events, the UK has been applauded for its economic recovery after the financial crisis. However, with 568,000 young people unemployed, the threat of becoming the first ‘lost generation’ in Europe is becoming more likely in the UK. Current youth unemployment is at 12.6% (December 2016), which is still some way off the 11.6% record low in 2001. These young people are given the dooming title of ‘NEETs’, a term used to describe young people who are not in education, employment nor any training. The reason youth unemployment is higher than average is easy to identify but difficult to solve. Simply, it is more difficult for a young person to find employment. The job market has become extremely competitive. As demand for jobs rises, employers have the privilege of being pickier. Only those who meet their exact criteria are employed. Work experience is the most important criterion according to employers. This means, young people are caught in a catch-22 situation. To become employed, they need to get work experience. It is imperative that we improve practical training and further the business/education partnerships to address this. Providing this solution is complex and slow, but it has paved way for the growth of social enterprises. For example, in the beautiful Scottish Highlands, Calman Trust will soon inaugurate a £16 million training hotel. It will offer training to disadvantaged youngsters in hotel management. Following the ‘enterprise-first model’, the running a high-end hotel with 120 rooms will finance it. It will thus be a place for young people to gain both training and work experience. Although this is a great initiative, a lot more needs to be done. According to a UK-wide study that we, Bridging to the Future, have conducted, young people are still not familiar with the concepts of social enterprises and practical business skills. As a result, they miss out on the numerous possibilities that they can take up to make life better. 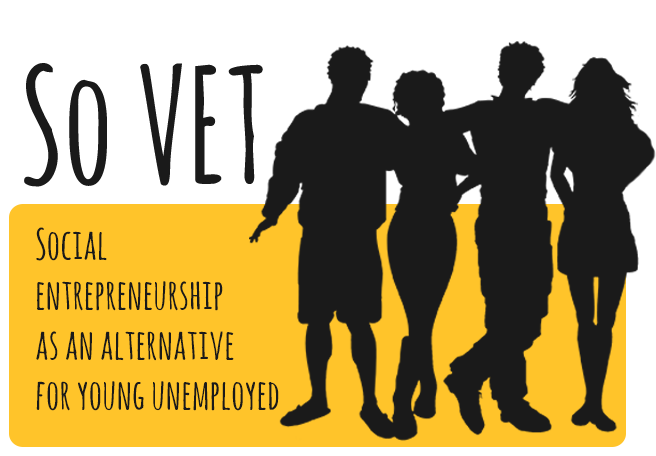 Through SoVET, funded by Erasmus +, we aim to promote Social Entrepreneurship by implementing social and business skill-based courses into school and further education curriculums. We have recently launched SoVET after a transnational meeting in Skopje, Macedonia. This would provide the foundations for developing young people qualified to accomplish their ambitions.